drivingandlife: COROLLA HYBRID - BOLD? This is the latest Toyota Billboard, announcing the 2019 Corolla – the world’s best-selling car. As I approached it, my reaction was that the boldest thing about this car was the dazzling blue color – I expected nothing more than a totally vanilla driving experience. After a 200km drive, that opinion was confirmed. The car performed superbly, did everything right. That is except for the very intrusive lane-control software, which initially made me feel like I was actually not in control of the car. Also, the fact there was no Apple CarPlay. But, the fuel consumption was 4.7 L/100km. Okay, it’s a hybrid Toyota – so don’t expect too much in the way of outstanding dynamics and sporty driving performance. I didn’t, but I have to say, the handling was pin-sharp and precise..
Now, we get to the bit where I do my research for this post, and refer to my notes. 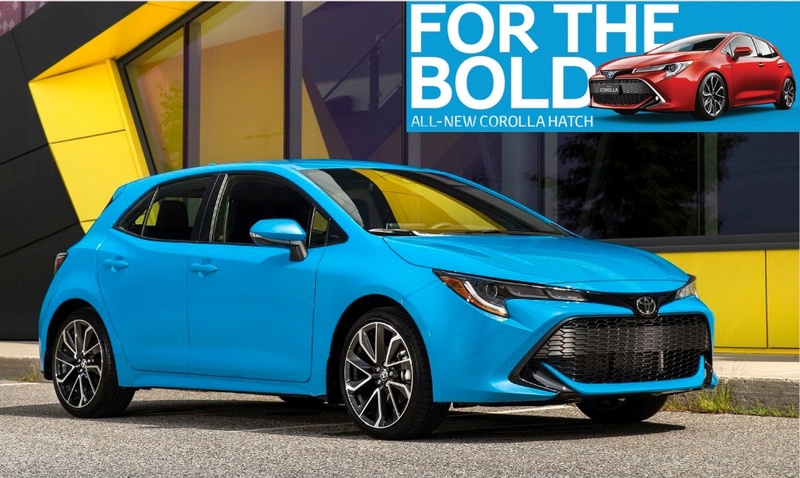 The 2019 Corolla may indeed be very vanilla – but, believe me there’s a beast lurking below the bright blue paint job. Yep, that’s right! The genesis for this view is to map the path from design to production. The Corolla is based on Toyota’s new architecture philosophy. No, not a platform-sharing program, but a new platform philosophy. It’s called TNGA (Toyota New Generation Architecture), and this philosophy will underpin every Toyota model from now on. But, back to the genesis (sorry, Hyundai, but you don’t own the word), and it begins with the Toyota C-HR and its Chief Engineer, Hiroyuki Koba. 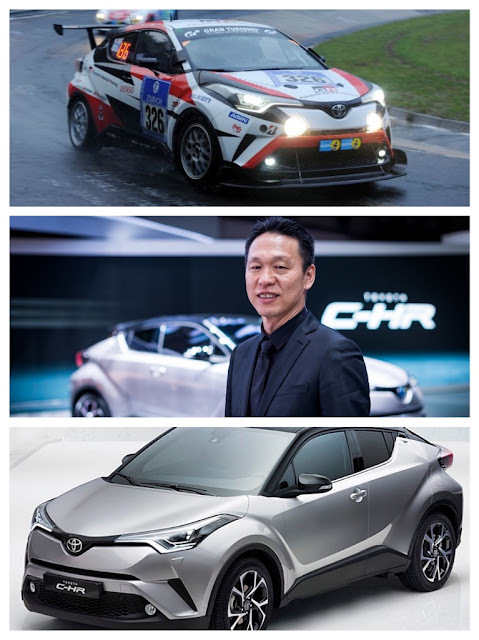 Koba had planned every detail of the vehicle, which would be called C-HR, but its development was independent of TNGA. That would translate into the fact that the C-HR was not Toyota’s current thinking. So he did something very rare for a carmaker – he scrapped the entire program and started again. This time observing all the protocols and disciplines of TNGA! Koba is also a mad-keen racer, and it was important for him to include some racecar thinking into the new platform. Lo and behold, as the big boys lined up for the start of the 24-Hour Production Race on the Nordschleife in 2016, there was Gazoo Racing with a race-prepared C-HR. Now, let’s backtrack to some Corolla development history. The year 1999 marked the time Toyota Australia stopped manufacturing Corollas, and began importing them from Japan. This was a car which sold in the millions around the world, and in a couple of years became Australia’s most popular car – unseating the Holden Commodore and the Ford Falcon. As you know, hindsight is 20-20 vision, and if not 2003, then 2005 is the year that GM-Holden and Ford should have started seriously thinking about investing all their time, effort and money in their big Commodores and Falcons. 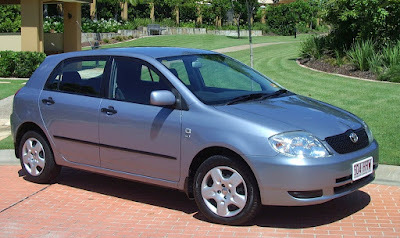 Once Corolla took off to the degree it did, it should have become apparent to the Australian GM and Ford product planners that not only was there change in the air, but big change, and in 2017 local manufacturing in Australia shut down completely – because GM and Ford were building the wrong cars! Then, in 2007 Toyota took another step, which also hastened the end of the ‘big’ sedans. The new Corolla featured a whole new approach to the combination of design, construction and body tuning. This car (left) included a lot of what rallycar builders would call ‘seam welding’ and resulted in a Corolla which had an extremely stiff body, and thus it handled more precisely, and more competently. Remember, this is a very vanilla car for the masses, sold all around the world and driven by people who don’t particularly care if their new car was developed using race and rally build practices. 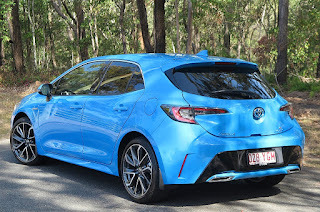 And so, now we come to the 2019 Toyota Corolla Hybrid ZR. The TNGA philosophy now dictates just 'how' Toyota will build its future cars providing exceptional chassis stiffness, which not only results in more positive and sensitive handling, but also longevity and reliability - all stuff Toyota's long term owners know about. 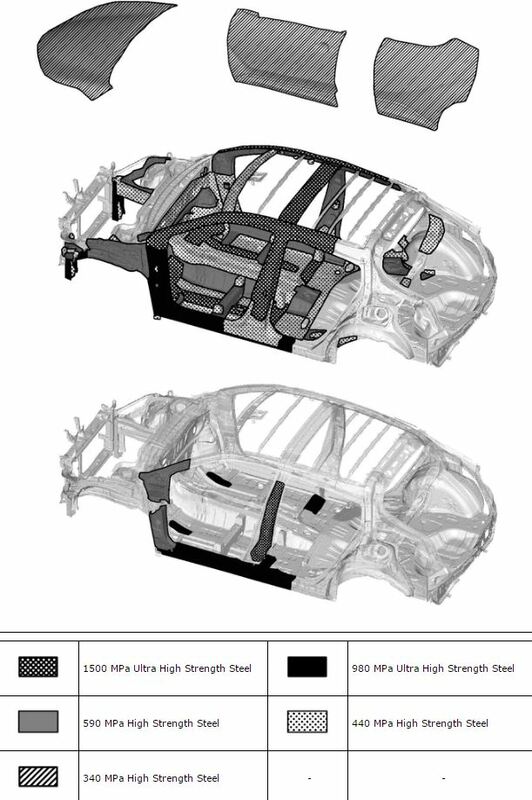 As this C-HR graphic shows, Toyota is achieving rally car stiffness by choosing where and how to place differing strengths of steel in the body build process. 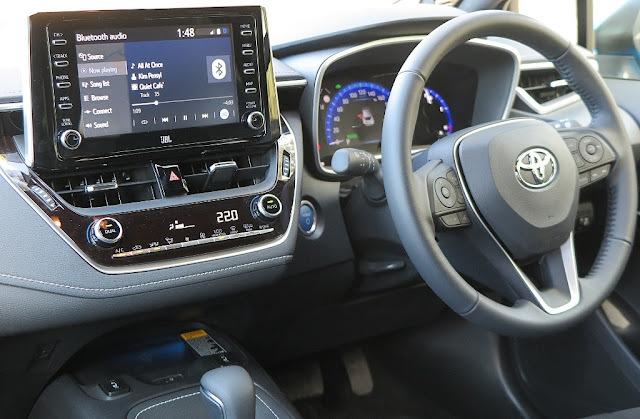 I’m not sure whether traditional Corolla buyers actually ‘want’ a hybrid, but Toyota reckons it will win over some skeptics, and create a whole different market for a car, which is already very successful. The biggest problem for Toyota is that Hybrids are expensive cars to make. 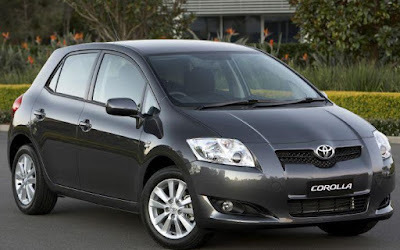 So, will Corolla buyers be prepared to fork out for a car which some automotive experts say will cost AUD$3500, to have the batteries replaced? It's worth pointing out that the batteries do have an eight year warranty, and should (?) last the life of the car. I have to say that this news makes the humble petrol-propelled Corolla a very attractive option. Also, I should point out to any Greens found reading this post, that the humble petrol Corolla is far cheaper to manufacture, service and ultimately recycle than any hybrid, or battery electric vehicle. The cradle-to-the-grave environmental costs for any petrol-fuelled car today is far less damaging than any new-tech car. Just between us - the ICE petrol-powered car is still the very best option for personal transport - but don't tell the Greens, they'll have conniptions!